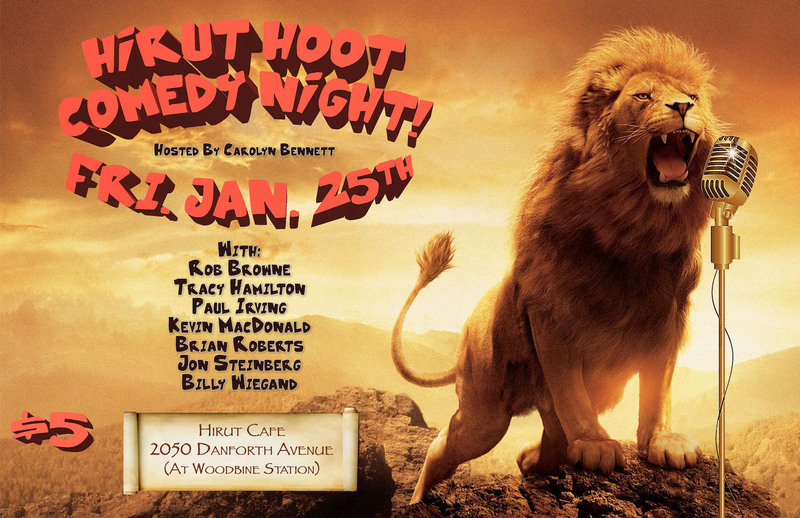 It's Hirut Hoot comedy night on Danforth Avenue on Jan. 25. Hirut Hoot hosts its comedy night this Friday, Jan. 25. The show gets underway at 9 p.m., at Hirut Fine Ethiopian Cuisine, 2050 Danforth Ave.
Carolyn Bennet will be the host, and a number of comedians will be performing including Rob Browne, Tracy Hamilton, Paul Irving, Kevin MacDonald, Brian Roberts, Jon Steinberg, and Bill Wiegand. The cost for entry is $5.